Constructing a new building requires planning and coordination between a number of different trades to ensure that the final structure is finished within budget and meets applicable codes. 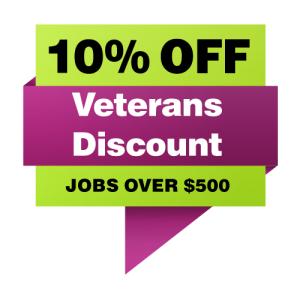 As a result, the reputation and experience of a new construction electrician can have a direct impact on the success of your project. In addition to determining the best design layout for new construction electrical wiring, the technician must identify the service required for each project. The demands for a commercial application may not be the same as for a residential project. A licensed, bonded and insured commercial electrician is accustomed to coordinating with other contractors. An experienced electrician that has successfully completed numerous projects can help complete a construction project without delays or costly changes. Simply Shocking Electric is your locally owned and operated, full service new construction electrical contractor serving the greater Portland OR area. Determining the new construction electrical wiring and service requirements for various commercial operations can be complicated. 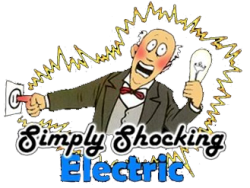 The experts at Simply Shocking Electric are here to help.The installation and wiring of each outlet and fixture must be done correctly according to specifications to guarantee safe and reliable operations. A proper design layout also plays a critical role to increasing productivity while minimizing operating costs. Professional construction electrical services are essential for completing a commercial building project on time and according to design specifications. Why Hire a New Construction Electrical Contractor? New construction electrical services should only be provided by a licensed, bonded and insured professional that holds the appropriate licenses and permits to complete a bid/build or design/build commercial and residential construction projects. Here at Simply Shocking Electric, your safety and satisfaction is our top priority. Our team of new construction electricians are technically proficient, and take pride in the quality of work they provide. Please contact us today with any questions, comments, concerns or to receive your free estimate over the phone. We appreciate your business and we are looking forward to serving you.